From flat-top mountains to deep canyons, Southwest Colorado is an interesting place to explore unique natural areas. Colorado Southwest vacation rentals by owner are the optimal place to use as your base for extraordinary adventures the entire family will appreciate. The beautiful landscapes are worlds away from the crowds and expenses of the big cities, and city life will be as far from your mind as possible when you vacation in Southwest Colorado. The region is the ultimate choice if you long for time outdoors. The whole family can participate in many activities, from fishing to biking. Every kind of outdoor activity in the wilderness can be enjoyed to its fullest in the National Forests and Recreation and Wilderness areas across the region's terrain. Scenic drives are on pretty much every road you can find, but take a ride on the Alpine Loop Back Country Byway for 65 miles of mountain peaks, glacial valleys, and ghost towns. Other outstanding rides include the San Juan Skyway, Grand Mesa, and the Trail of the Ancients. Back at Colorado Southwest vacation rentals by owner, everyone will comfortably reflect on their amazing day, as well as appreciate the leisurely time they can have in the accommodating space. The small and quaint population centers in Southwest Colorado include Durango, where you can enjoy music, art, and history. There are also many museums and restaurants, in addition to the river rafting and hiking you can do nearby. The secluded, historic mining town of Silverton is also a place where you can get your fill of history. Families with kids will also be astonished by the views along the Durango & Silverton Narrow Gauge Railroad, and the variety of mine tours in the area. Such an intriguing piece of history can be seen at an affordable price when you stay at Colorado Southwest vacation rentals by owner, especially when you consider what is included in comparison to the usual vacation room at a hotel or motel. 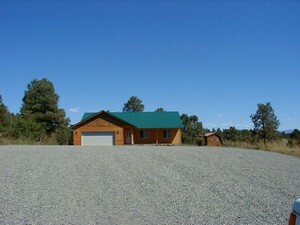 You can also be situated among the mountainous spectacles of Pagosa Springs, just miles from the Continental Divide. In Lake City, take on amazing mountain hikes, great fishing, and the sights of waterfalls and ghost towns. Every outdoor activity including boating, biking, horseback riding, and sightseeing can be enjoyed here. The serene landscape of Crested Butte is also perfect to set out on from Colorado Southwest vacation rentals by owner, with many opportunities to relax or immerse the family in activity. End a day in the fresh air with a leisurely dinner in your home away from home, or enjoy the peace of mind of a real vacation with the spacious accommodations at your disposal. There are so many unique areas in Southwest Colorado. Once you pick what you want to see most, then you can plan accordingly, and pick the Colorado Southwest vacation rentals by owner that best suits the family vacation budget and style. The convenience and leisure you can have, among the unique sites and attractions in the area, will make for a memorable vacation that is just the right thing for a city escape. Interested in More Colorado Southwest? Check out nearby Crawford , Durango , Lake City , Silverton .